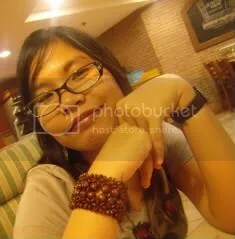 About Me | "The Adventures of Lisa Lemonada"
A bookworm, movie-enthusiast, blogger and anime-lover. An introvert who likes walking long distances, while listening to her trusty MP3 player. Would like to become a Professional Freelance Portrait Artist sometime before going six feet below. Would like to write a book in the future (whenever that may be). sound of the power saw (chainsaw) – my number one fear. we used to live near a lumber owned land (Bay, Laguna), the sound of the chainsaw will cause me to climb the table or hide in any other area where i feel i’d be safe (there was an incident wherein i tried to climb my father’s back!). aswang/manananggal/freddy kreuger/jason voorhees/ – all sorts of fictional monsters, especially the “cha bun kwa” (w/c was actually the name of a lion in an old reader’s digest issue) and the “sipay” (they kidnap young children, or so my parents say). being bogged down by chronic depression/obssessive tendencies. I like spending a great deal of my time alone (especially when i’m working on something). I’m often thought of as someone aloof, inconsiderate and even self-centered (i forget birthdays, forget to call or text my friends, and even forget to apologize etc.) But I bear no ill intentions, things just happen to slip from my mind. heh. I like eating “viscera” or “entrails” (excluding human ones!) – I especially prefer the heart, brains and lungs. I suffer from mild to severe mood swings and chronic absent-mindedness -here but not here-. I hate overwhelming odours (perfumes, smoke) – although I happen to like the smell of gasoline and rugby! my cabinet(s), where I store my various collections. visit transylvania, alcatraz, auschwitz (and all the nazi camps all over europe) and the holocaust memorial. apologize (?) well, not really but it takes a great deal before i can, even if i’m the one who’s wrong. but i’m working on it! babysit for a long period of time (i tend to lose my patience). im interested in doing new things unfornately i dont have the means to do that im a novice in this field please please help me out!!!!!!!!!!!!! di ko pa napanood ung Life. sinong bida dun? anong story? ay, wala pa kong napanood sa mga nabanggit mo. ang mga pinapanood ko kasi eh karamihan puro comedy. ^__^;; pero i’ll check it out at crunchy. muka ngang disturbing sa synopsis pa lang. mas disturbing pa sa mga storya ng baliw sa hell girl! hey cousin kamosta ahahaha napadaan lng sa tagal nating magpinsan ngayon ko lng nalaman na takot ka pala chainsaw ehehehe ingat lage! miss nakita at bonding moment natin! 😀 hope to see you soon!